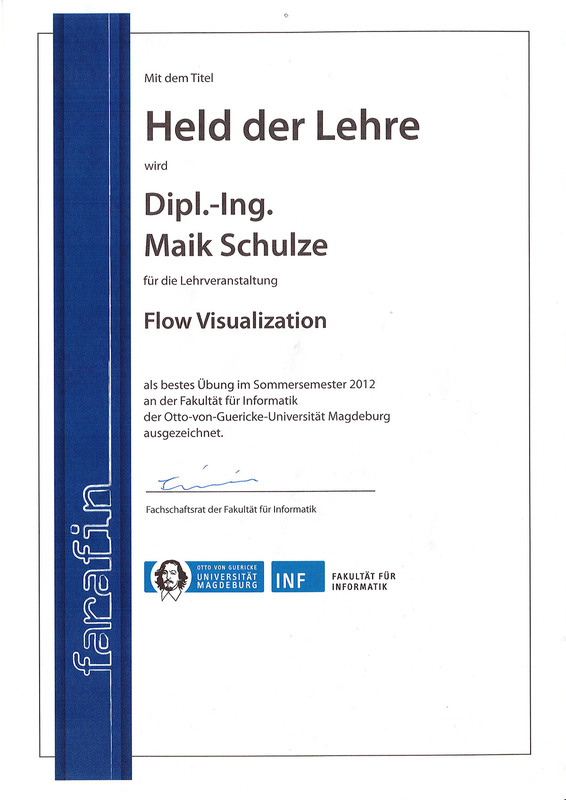 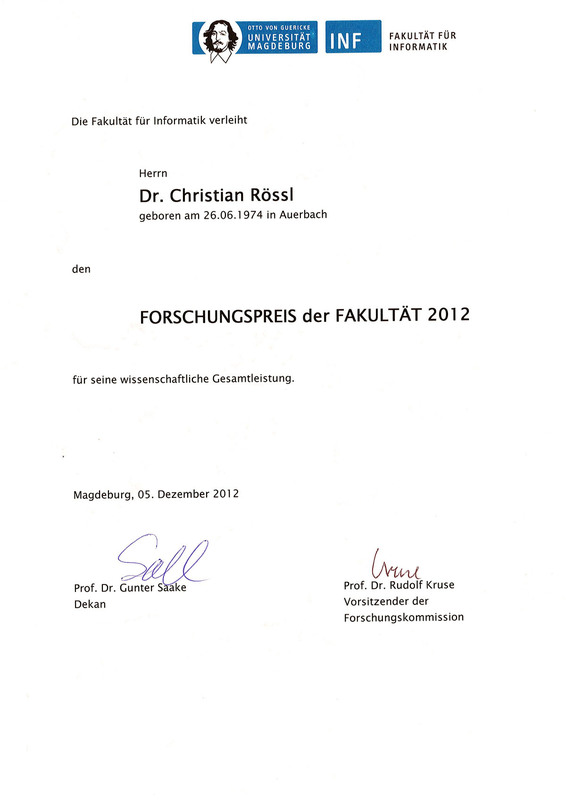 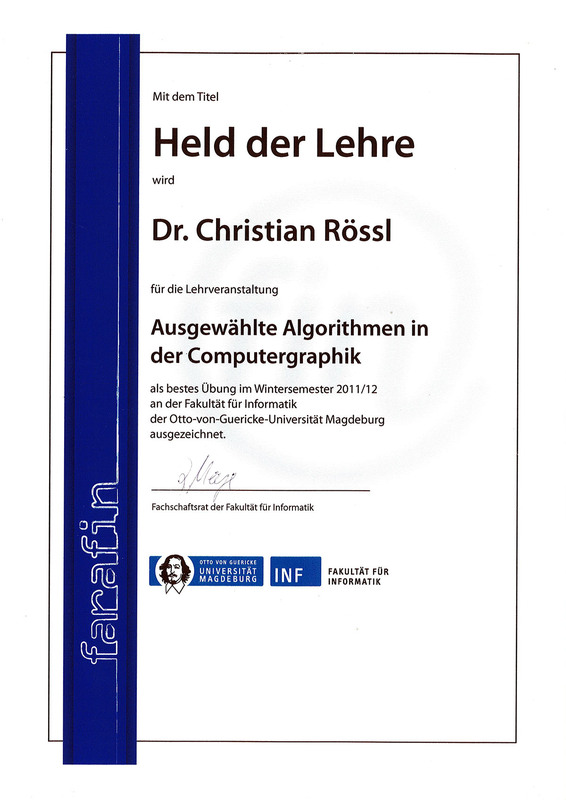 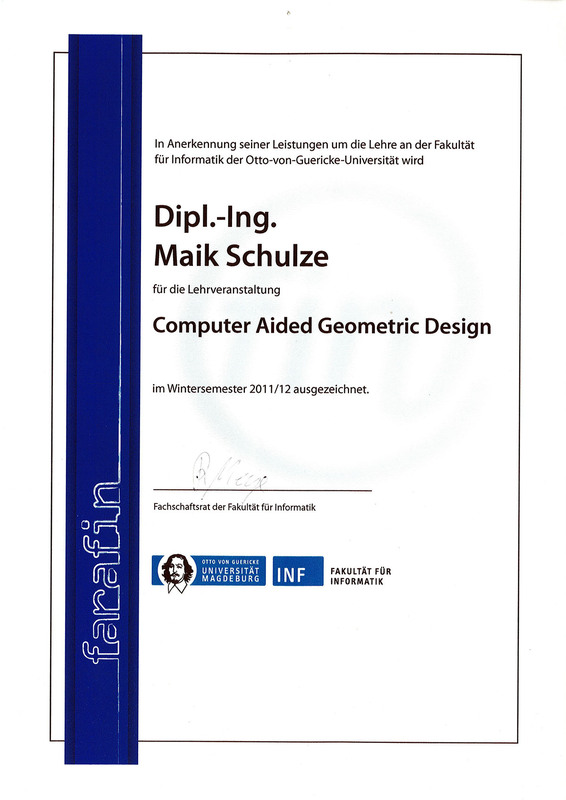 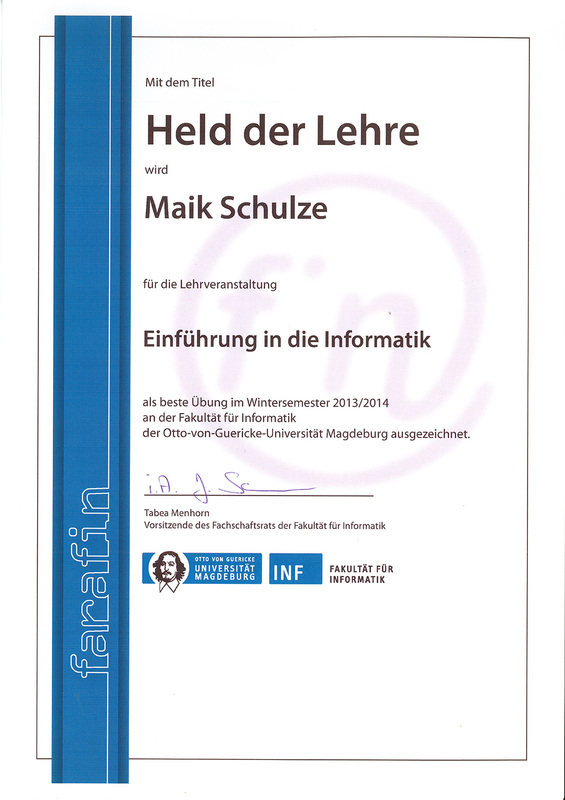 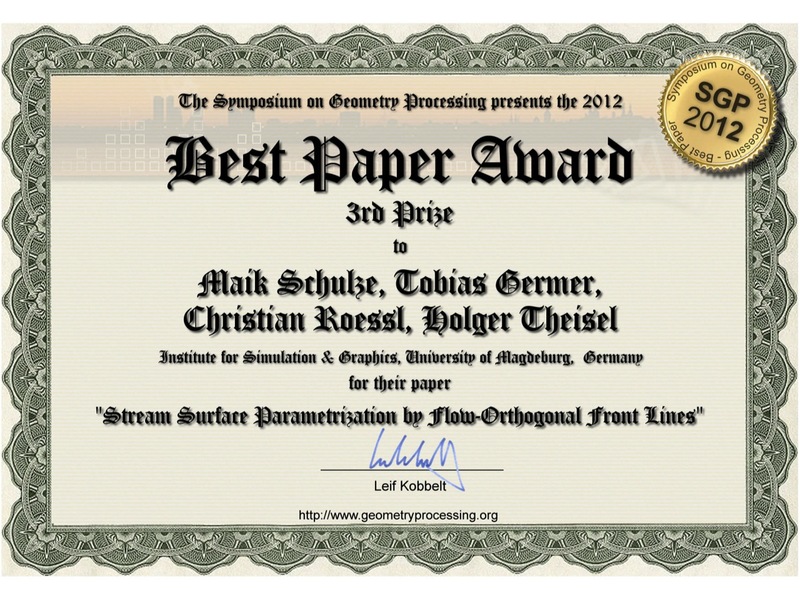 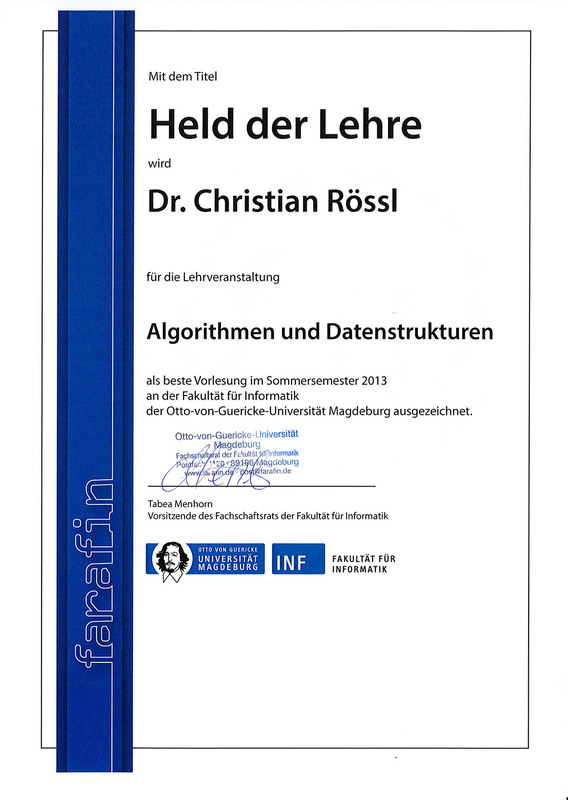 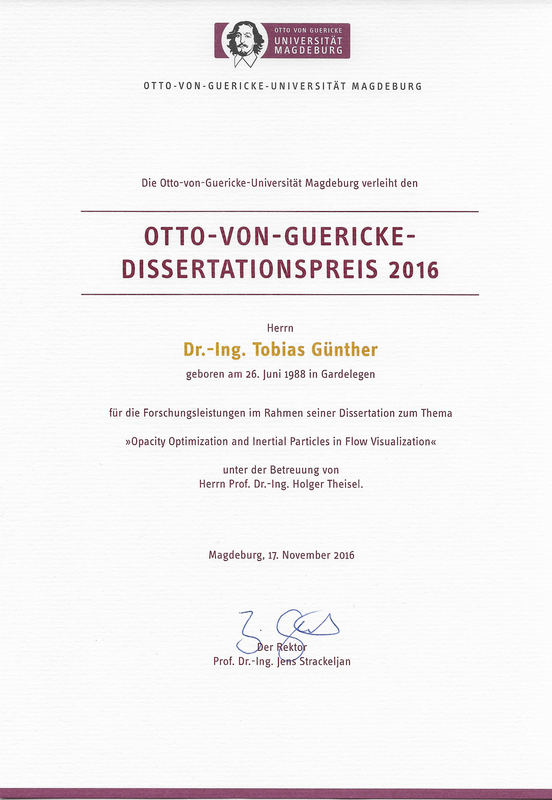 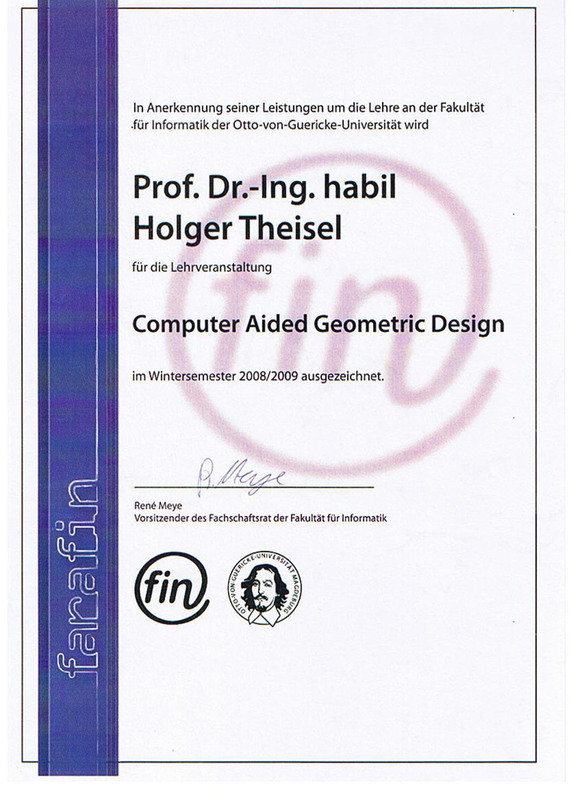 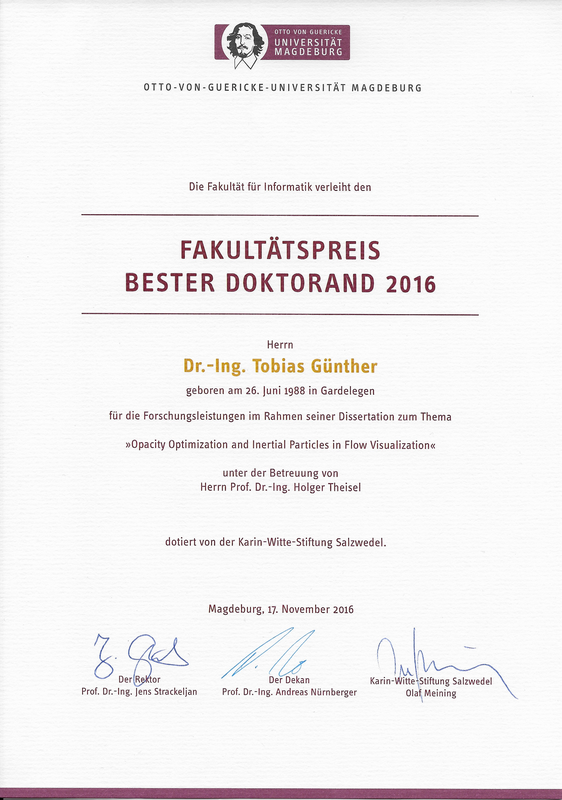 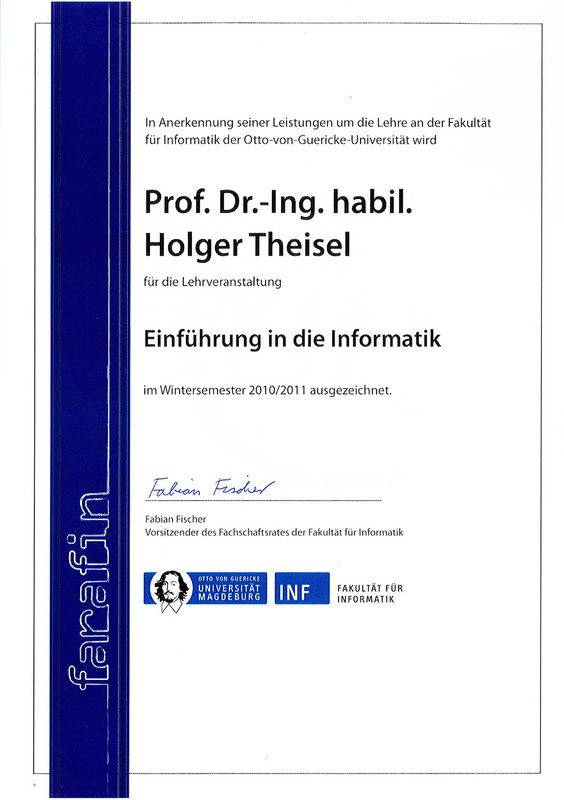 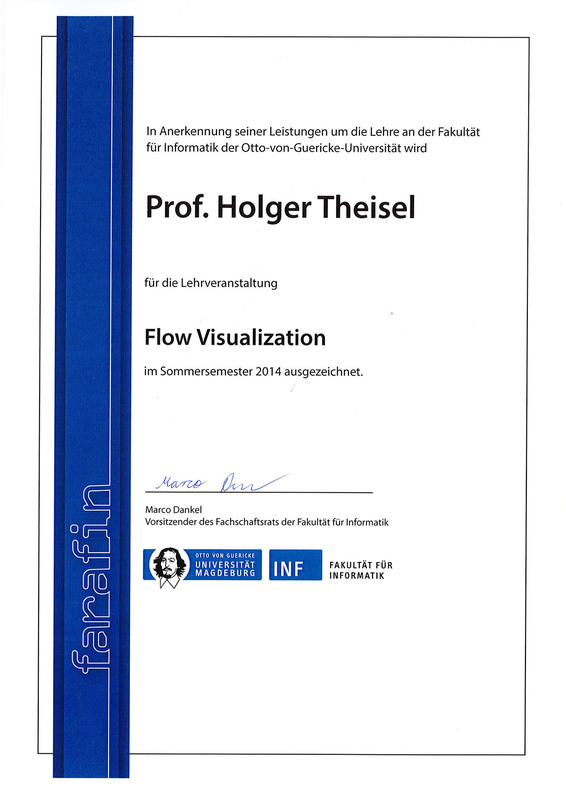 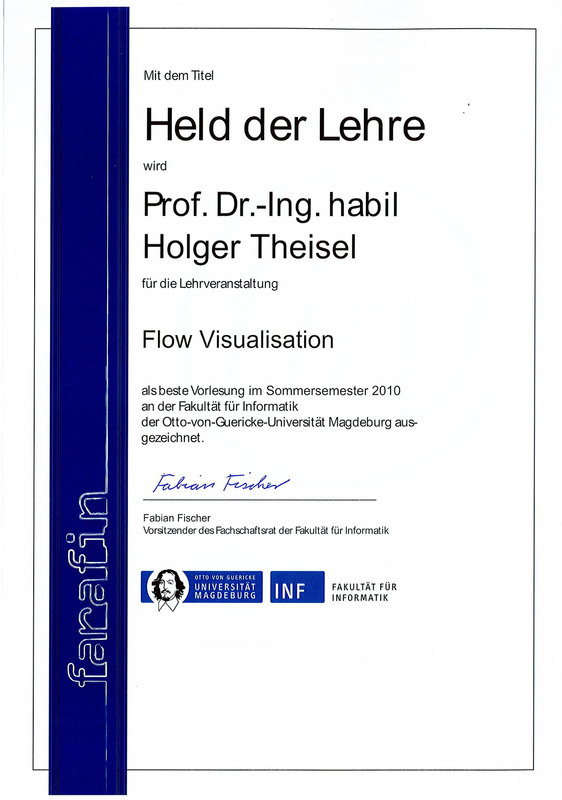 T. Günther: “Held der Lehre” Teaching Award for best exercise course in Summer Semester 2013 at Faculty of Computer Science, Magdeburg University, for the course “Algorithmische Geometrie”. 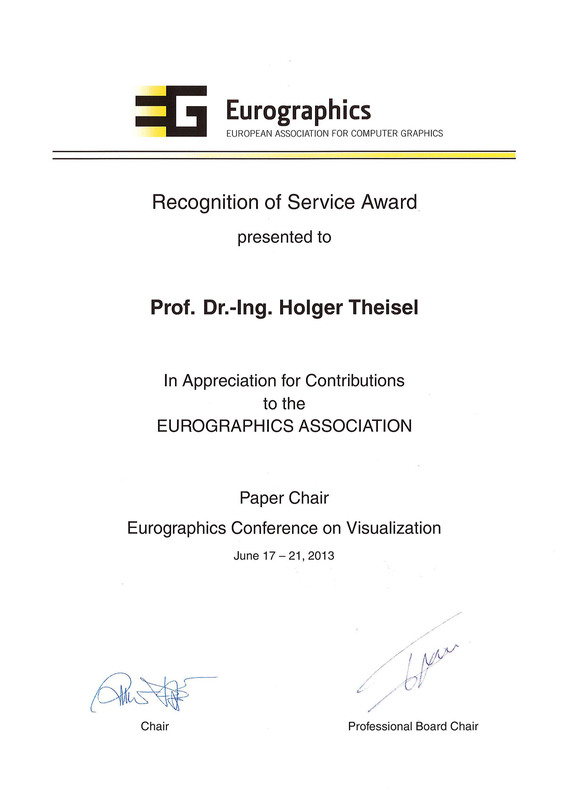 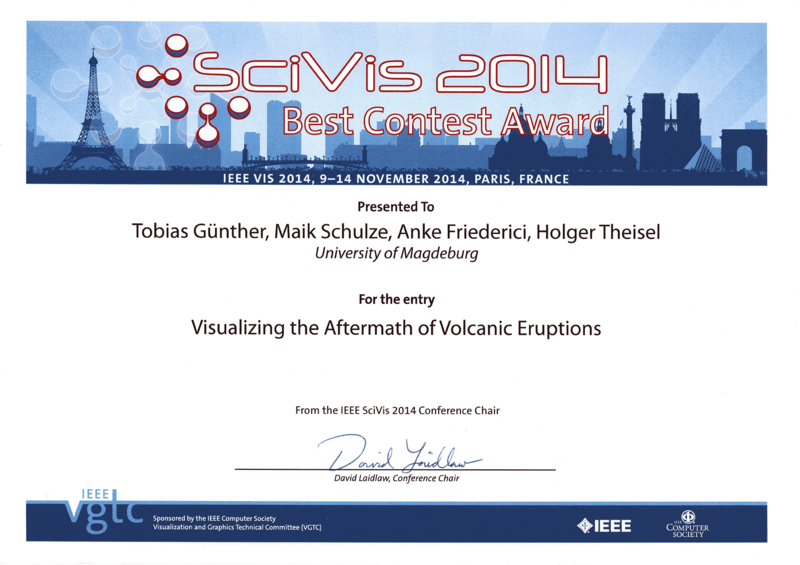 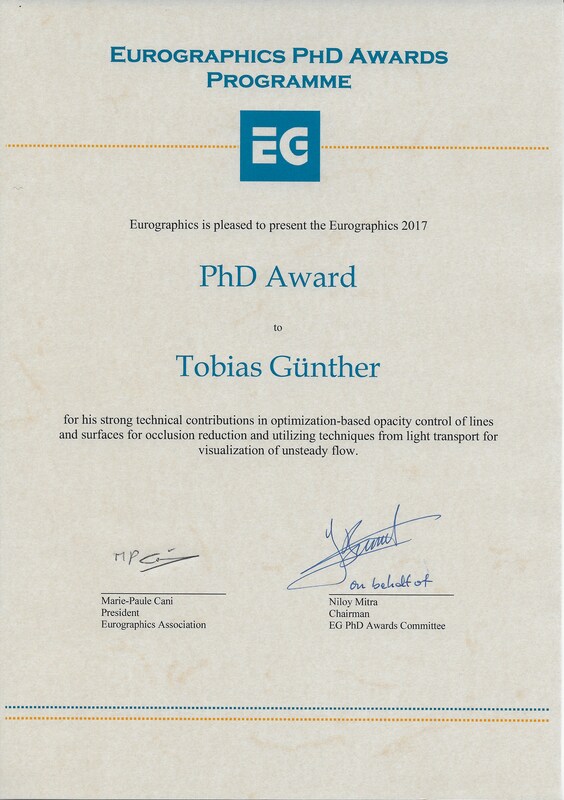 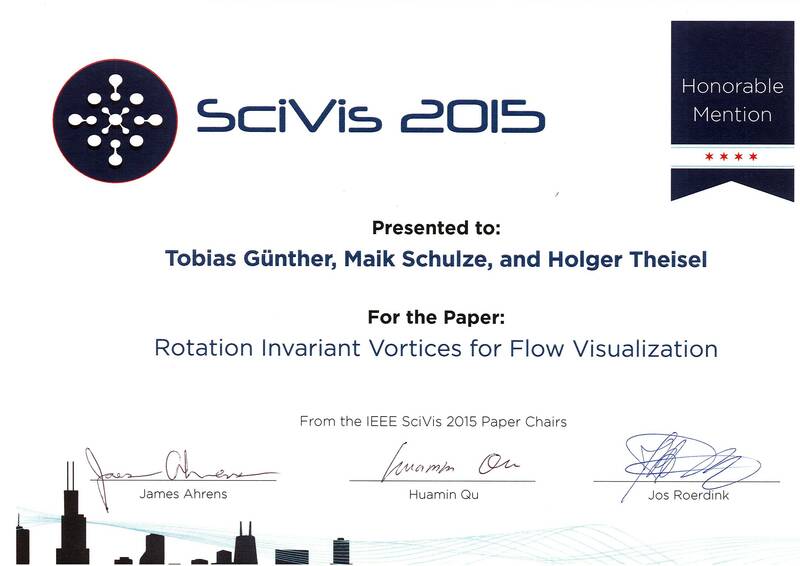 Collaboration Award of the DFG Priority program “Scalable Visual Analytics” for the paper A. Tatu, G. Albuquerque, M. Eisemann, J. Schneidewind and H. Theisel, M. Magnor and D. Keim: Combining automated analysis and visualization techniques for effective exploration of high-dimensional data. 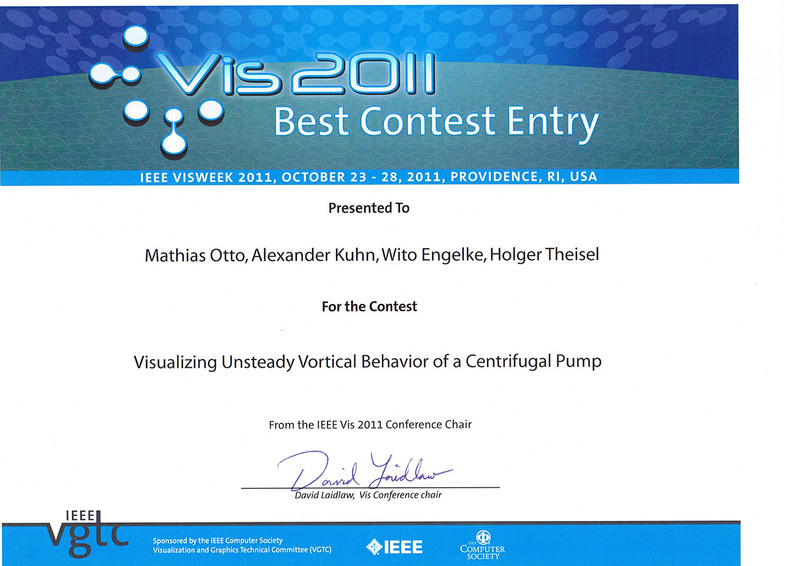 IEEE VAST 2009.